The First Catholic Apostolic Church in Zion of SA (4). Bishop Malinga healing a member of his congregation during Sunday service. African independent churches are simply churches formed and led by Africans, outside of the conventional denominations, and existing quite independently of any other religious structures. They have been in South Africa for over a hundred years. 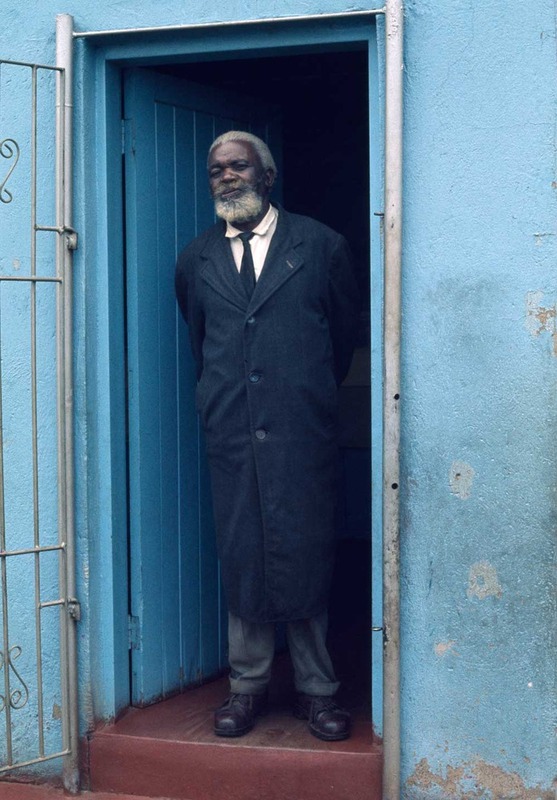 In the early 1970s, when the images in this collection were taken, there were an estimated 3000 African independent churches in South Africa with a membership of over 20% of the African population. 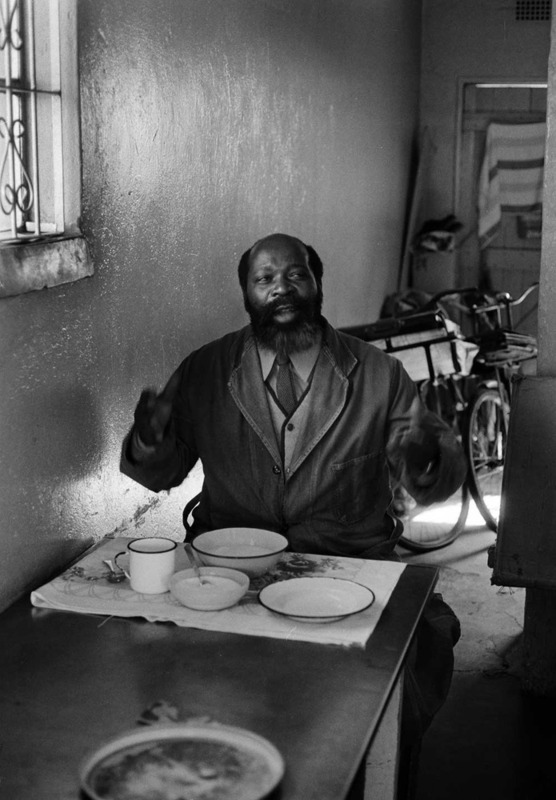 They were scattered all over South Africa and had flourished in the rural areas and in the towns. 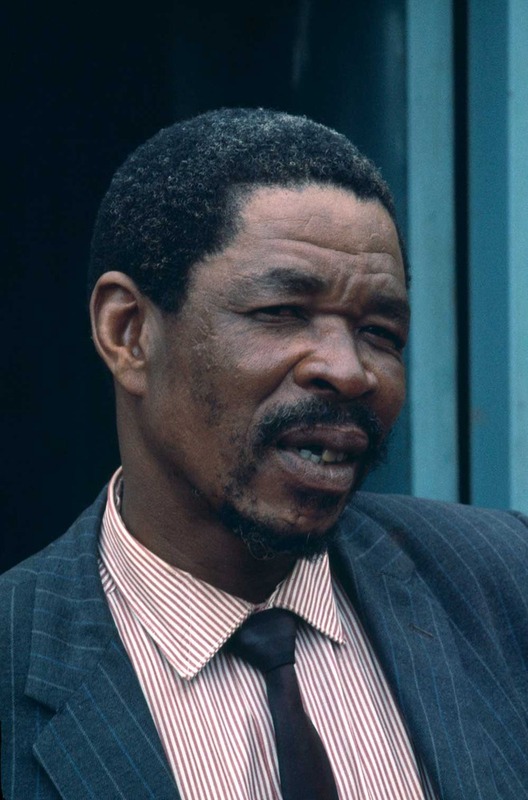 There were believed to be over 900 of these churches in Soweto alone. 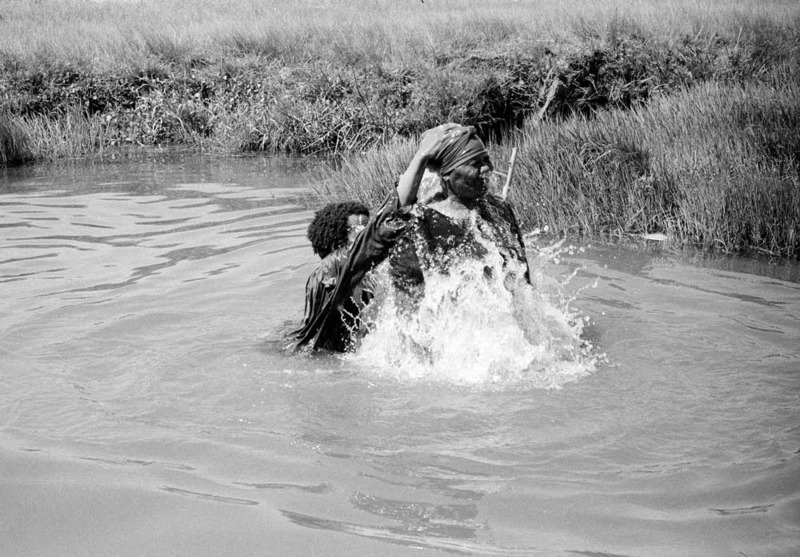 The movement had its roots in the mid 19th century in what has been called the Ethiopian movement, where there were a number of breakaways from white-controlled mission churches . These first independent churches were led by Africans with exclusively African congregations, but otherwise differed very little from their parent bodies. An early example is the Presbyterian Church of Africa which was founded in 1898 by the Revd P.J. 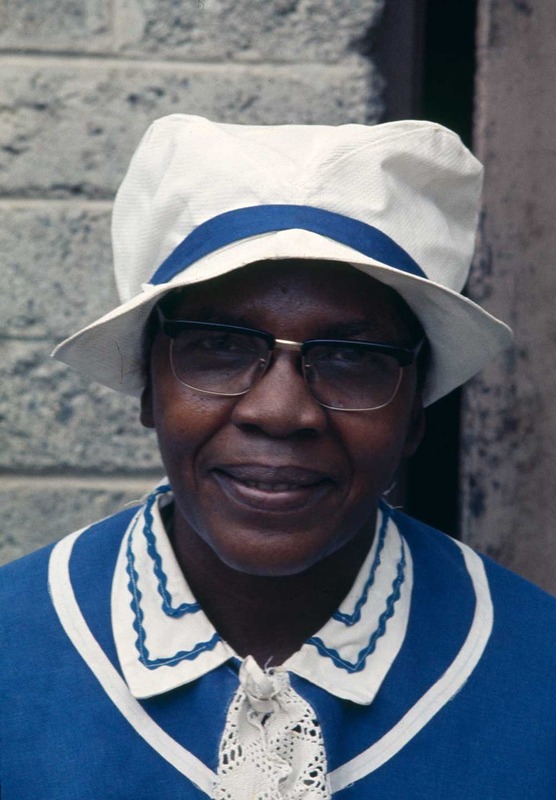 Mzimba, an ordained minister who broke with the Church of Scotland mission in South Africa. 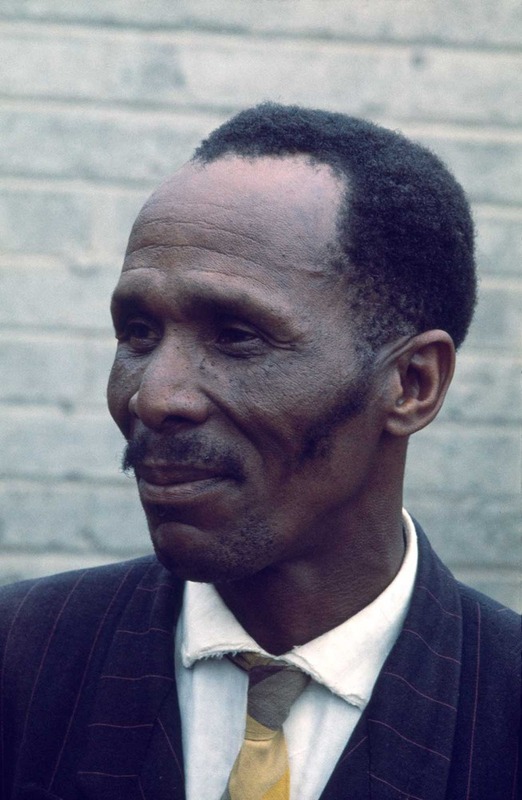 The Presbyterian Church of Africa was represented in Soweto in 1969, in unchanged form from the old Church of Scotland and was still, as one of its leaders pointed out to me, "a church for the Africans, entirely controlled by the Africans." This type of church, still sometimes referred to collectively as Ethiopian, constituted one wing of the African independent church movement, with its centre of gravity remaining the blend of conventional Protestant church practice coupled with African leadership. They now form a solid minority of independent churches, in contrast to the rapidly-growing Zionist-type churches. The presence of American Pentecostal missionaries in the early 20th century had a major impact on the development of this new form of indigenous church, usually referred to as Zionist or Apostolic. The Zionists constitute the greater part of the independent church movement, and were the source of its spectacular growth. These "churches of the spirit" focused mainly on healing, and often combined traditional beliefs with Christianity with eclectic and creative use of symbols and structures old and new. 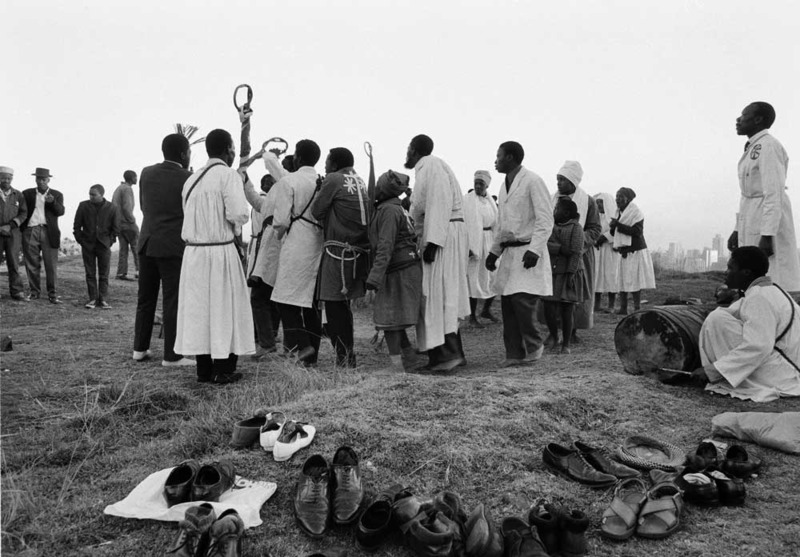 They had bishops and prophets, spirit possession and dancing, African drums and the occasional brass instrument, healing and preaching, distinctive colourful uniforms and impressive names: the First Christian Apostolic Church in Zion, the Christian National Apostolic Church in Zion of South Africa, the New Christian Catholic Apostolic Church in Zion of South Africa. There had been a handful of very large and successful churches, with tens of thousands of members and more. The Zion Christian Church (ZCC) is the best-known and is said to have up to a million people attending its Easter services at its headquarters in Morija. But most churches were small, and individual congregations rarely had more than 30-40 members. Most had no property and held services in hired class-rooms, garages, halls, or even outdoors. They appealed to the poor and to people with relatively low levels of formal education. Reaction to these African independent churches has not always been favourable, and they have been dismissed as not being Christian, and they have been looked down on by the educated as uneducated, and by the 'sophisticated' as being 'primitive'. They are not helped by the fact that most independent churches cut themselves off from the rest of society and seem secretive to outsiders, who are likely to be misinformed about their beliefs and activities, and sometimes puzzled by their external trappings. The Ethiopian-style church members do not stand out -- ordinarily members do not wear uniforms, or if they do, women will wear coloured jackets indistinguishable from those worn by members of the mainline churches. Their clergy wear Roman collars and black vestments. Zionists, however, do stand out. They never wear black (which is the only foolproof way of distinguishing between the two types of independent church) and their uniforms are elaborate - usually white with colourful markings and borders, symbols of rank, healing cords of various colours, flags and staves, mitres and staffs of office. The uniforms set them apart and contribute in some way to their isolation. But they were also open to outsiders particularly through their healing services. Once inside the barrier, and accepted, the newcomer finds a supportive community, a refuge from the trials and tribulations of the outside world, and - largely through healing - a means of coping. The poor and people of little formal education feel comfortable here, and have opportunities to exercise leadership and other skills as well as receiving support. They are a place to feel at home. 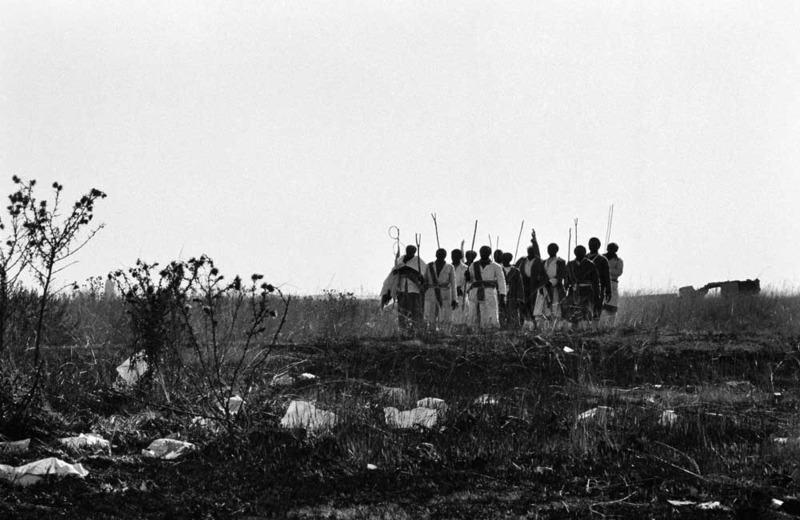 Zionist band approaching river at dawn, outskirts of Soweto. 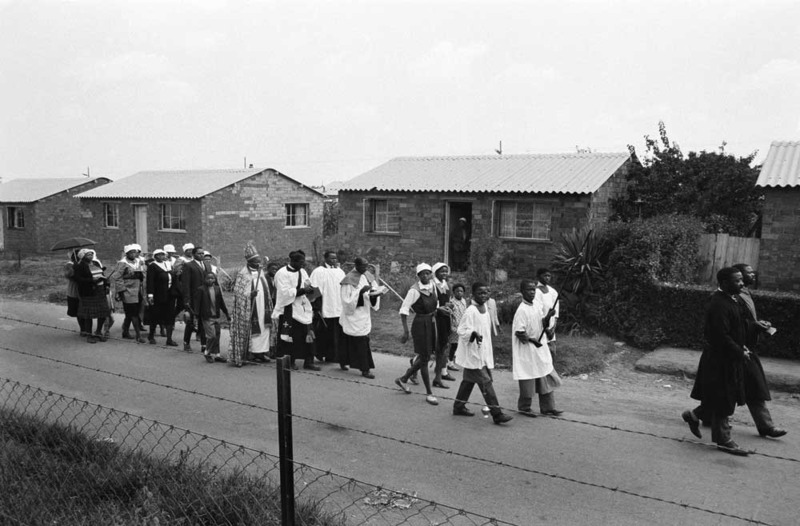 The African Free New Church (59): procession to a service. 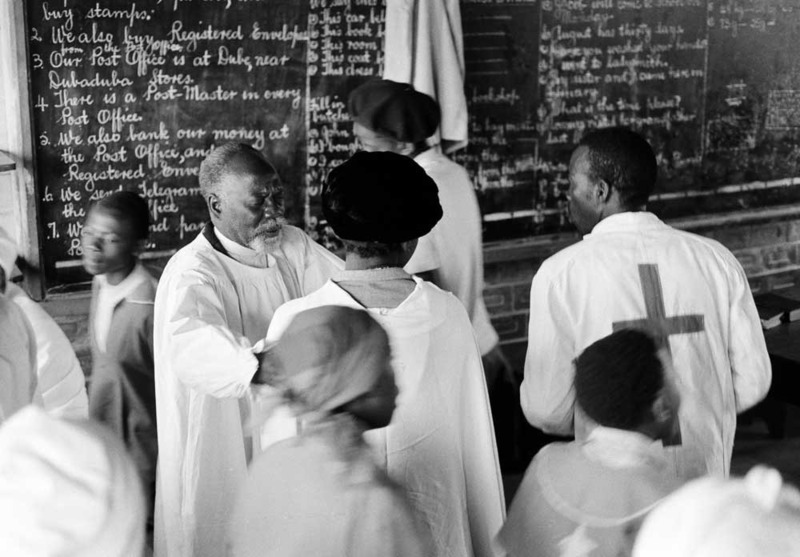 More images relating to the African Independent Churches section can be found in the collection or through using the advanced search.